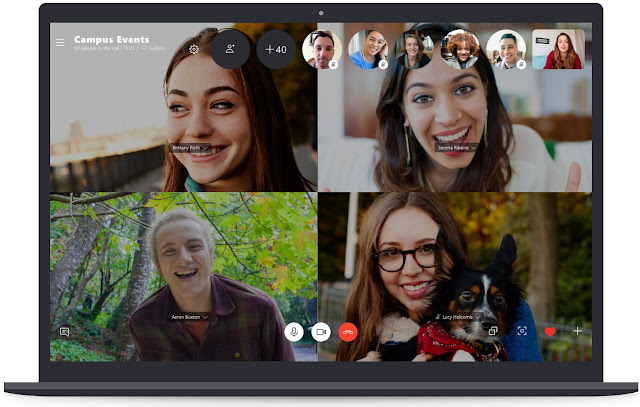 Earlier today, Skype has announced that it has doubled the group call limit to reach 50 participants, making it higher than FaceTime's limit of thirty two. Of course this won't be such a big deal for customers who make one-to-one calls. To help people manage these crowded calls, the Microsoft-owned company has also made a few changes to how customers start them, including a new notification. We added a notification to replace the ringing as the default, allowing every member of the group to receive a quick ping to join the call. These notifications are a simple, unobtrusive way to get your calls and meeting started, be it between family, friends, podcast guests or coworkers. In addition, every Skype group with up to 50 people now supports calling. You can, of course, cherry-pick individual members of a group chat that you’d like to ring. If your group is less than 25 participants, you can ring the entire group. To use this cool new feature, be sure to update your copy of Skype for iPhone, Skype for iPad and Skype for Mac to the latest version. So what do you think ? Are you one of these guys who make crowd video calls at once ?